Does the “Marketing” and “Technology” make a difference? You bet it does! Look at the studies and statistics. Houses that are better marketed sell faster and for more money, consistently. What does “better” mean? How come the phone company can’t figure out the 1? Is it “better” or is it the “weather”? People are always asking “Is the Market any better?” Nationally and locally we’re starting to hear positive economic reports. So people wonder, “Is it true” and “Is it going to improve OUR local real estate Market”? Joys of real estate. Can’t believe she said that! This is good BUT isn’t this how we got into trouble in the first place?! I’ve got Ice Cream Sandwich! Another Sale under $150,000 in Weston! My daughters caught a Lady Bug, and named her “Dots”. Usually, I only put professional content here. But, this one is just so cute! My daughters caught a Lady Bug. They named her “Dots” (because of the dots on her back). How cute! Can you believe what Amy said? Amateurs practice until they get it right; professionals practice until they never get it wrong. It’s a good thing I checked (my vacant listing)! This article does a pretty good job summarizing most of the Economists and Newscasters out there (and most the real people I’m hearing from): http://abcn.ws/z13INM. Sold – $150,000 – 4 Bed Weston House! If you wait until the SuperBowl® to put your house (back) on the Market, you could miss half of the (early) Buyers. You could miss half of the (early) Buyers, if you wait until after the SuperBowl® to put your house (back) on the Market. The 800 lb gorilla is DEAD! I arranged to have one of my listings featured on TV’s OpenHouseNYC. 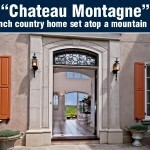 Look at what a great job my clients did describing their house: http://www.nbcnewyork.com/video/#!/blogs/open-house/Square-Feet–Tour-a-Luxurious-Countryside-Chateau/135751898. Kind of like “ringing off the hook”. But, it’s not phone calls. I had a Press Release published on www.weston-ct.patch.com and www.TheDailyWeston.com. For the last two days, my phone has been beeping like crazy. Black Friday & Cyber Monday – Good or Bad? HERE is where the Buyers are. How come Sellers don’t demand showing feedback? We found the house today..
Connecticut has the highest taxes of any state in the country, and there’s no escaping next door — the surrounding states of New Jersey, New York and Massachusetts round out the top four highest taxed states. A French country home set atop a mountain ridge at the end of a cul-de-sac.